The damson, or damson plum, is a variety of plum that ripens in autumn. 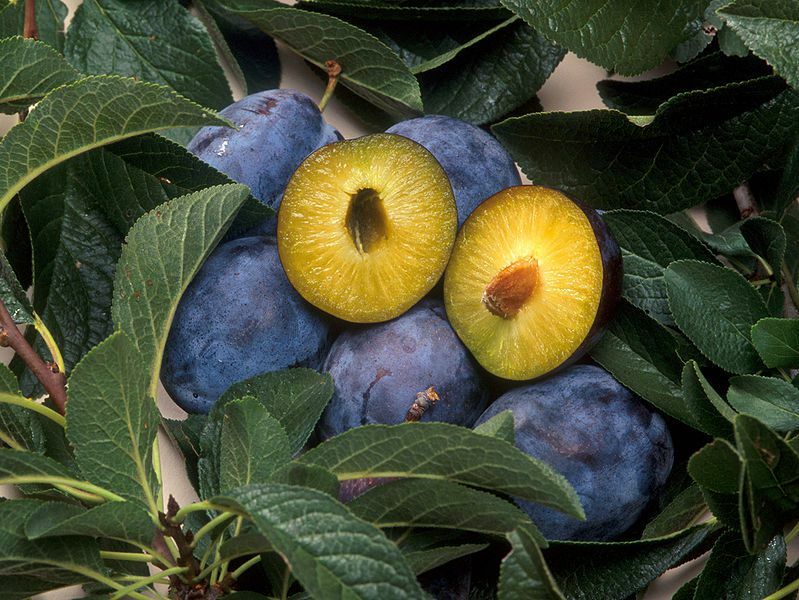 Oval in shape and blue or violet in colour, the damson has orange flesh and contains a stone. It is covered with bloom, an indicator of its freshness. Between sweet and tangy, it has a delicious taste when it is nice and ripe. The sugar that it contains, sorbitol, stimulates the gall bladder. It therefore has a beneficial effect on digestion. It also contains vitamins and minerals. This fruit can be frozen, and thus enjoyed in winter, but it is more tasty when eaten freshly picked or in a tart.